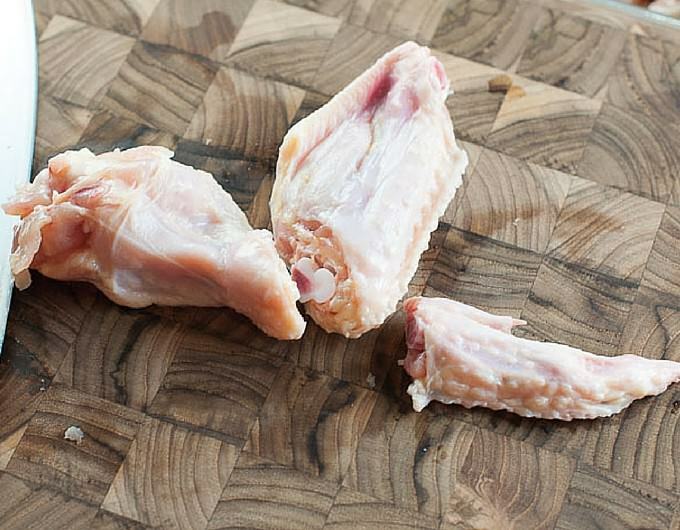 Learn how to cut your own chicken wings. 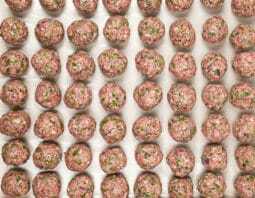 Once you get the hang of it, you’ll be bragging about your masterful butcher skills. 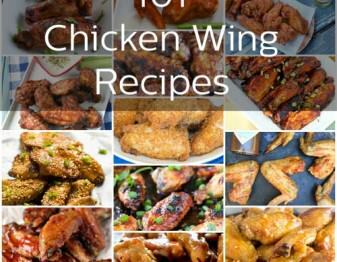 Chicken wings, no matter how they’re prepared, are an excellent meal to serve. 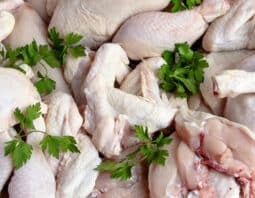 You can buy chicken wings cut up and ready to cook at the grocery store. But these are more expensive than whole wings. 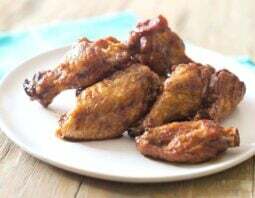 I typically find that wings that are cut up cost between 30 cents to 70 cents more per pound than whole wings. 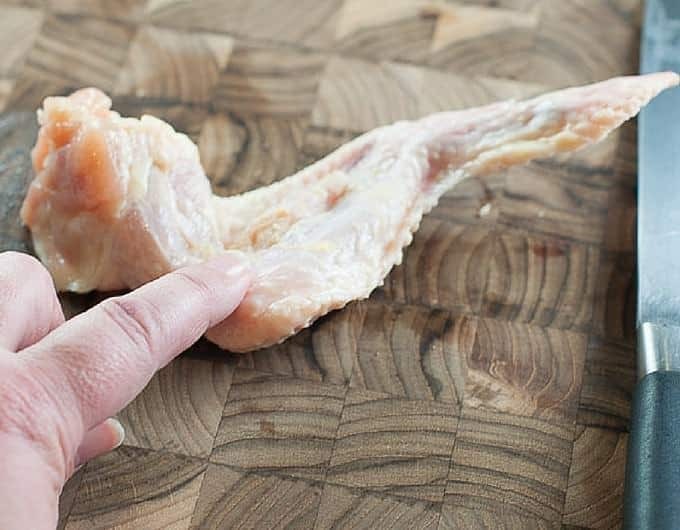 Did you know that cutting up wings is so incredibly easy? 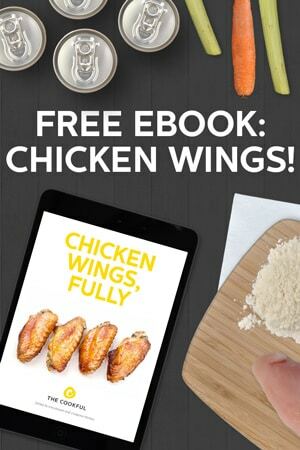 You can save money on your chicken wings from now on. 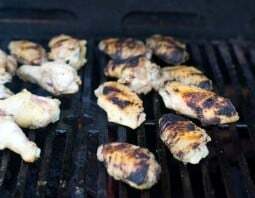 In fact, with a little practice and a few cutting tips you can prepare two pounds of chicken wings in about 2 minutes. You need only a good sharp knife (I prefer using a Chef knife for this job) and a cutting board. If you stretch out the wing, you’ll notice that there are three parts to the wing. 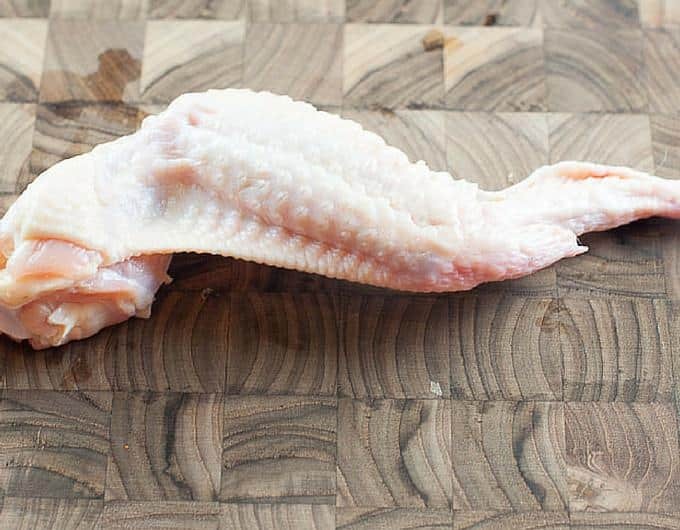 There is the wing tip (also called the flapper), the middle part is the wingette (also called the flap) and then the meatiest part is called the drumette. You will make two cuts in when you cut the chicken. 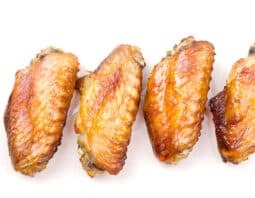 When you make two cuts to the one wing, you will be left with three portions. The wing tip typically is not used in most recipes; I like to save the wing tips for stock. 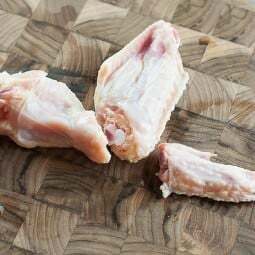 If you are not going to make stock, immediately place the wings in the freezer and prepare stock when you are ready. 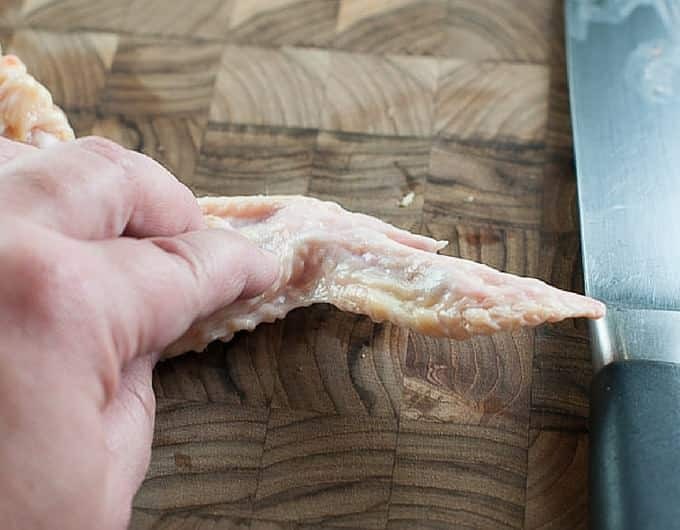 Stretch out the chicken on a cutting board, now flip the wing over, so the inside portion of the wing faces up. It is very easy to see the joints when you position the wing this way. The first cut that you’ll make will be the high ridge or the joint between the wing tip and the wingette. Cut and then set the tip to the side. As noted, you can use the tips for stock. Put them all into a zip top bag and pop them in the freezer until you’re ready to use them. The second cut you’ll make will separate the drumette and the wingette. 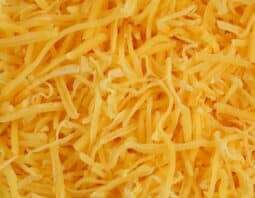 Place the knife at the high ridge on the joint between the two pieces and push your knife through. If you have a lot of resistance, wiggle the knife just a bit and when you feel less resistance push the knife down. You should have a clean cut. Now you have pieces that are ready for your favorite recipe. See how easy that was? 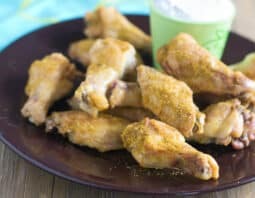 I hope the next time you’re making your favorite wing recipe you grab the package of whole wings and save yourself some money by cutting them yourself. Flip the wing over so that you can easily see the joints. Identify the wing tip. Cut it cleanly with one cut right through the joint. Set the tips aside to make stock. These are not useful as wings. Place the knife at the high ridge on the joint between the flapper and the drumette. Push your knife through. If you have a lot of resistance, wiggle the knife just a bit and when you feel less resistance push the knife down. Great pics with good explanation. Never thought it would be so easy. Arjun, Thanks. Happy to help! I was a little confused by your use of the term “flapper” to what I believe is the wrong part. 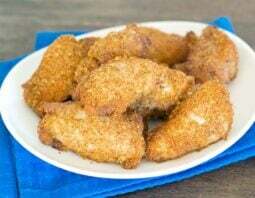 Hello, I was just wondering, how to tell chicken wings apart. 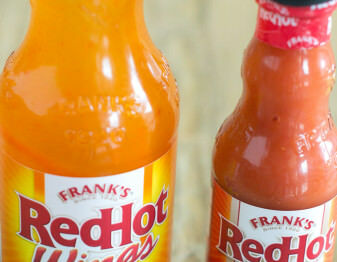 The left from the right?